The Inarguable: Flattening Middle America: Fister's "Violence" and "Gemini"
Flattening Middle America: Fister's "Violence" and "Gemini"
How is it that the word "doom" is only four letters long? Surely something so agonizing, slow, and inevitable would be represented by something equally as devastating, and yet there it sits in its monosyllabic glory. A few close colleagues and I used to joke that "doom" was actually a forty-letter word, sometimes going as far as replacing its two o's with a lemniscate (Get it? D∞m? We were so clever. ), because, let's face it, four letters isn't enough. Luckily, metal's representation of untimely doom more than makes up for the word's shortcomings. Extended ideas, slack-tuned guitars, subsonic bass, eardrum-shattering volume - all landmarks of the modern manifestation of doom metal, and, in my endless search for the finest representations of doom metal's hallmarks, I found myself just a few hundred miles South of my native NW suburban Chicago. Hailing from St. Louis, Missouri, sludge/doom metal hydra Fister gives absolutely zero fucks. None. 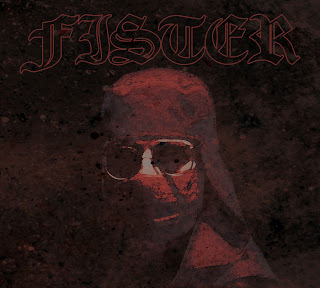 With a reckless streak which includes two full-length recordings, blood-infused screen-printing, and a cassette tape emblazoned with the image of a Baphomet Charles Bronson, it's not so much that Fister has any sort of artistic intent... they just want to make sure you feel pain. Lots of pain. My first experience with Fister came in the form of a ridiculously packaged cassette, which I bought on a whim mostly due to bassist/vocalist Kenny Snarzyk's pedigree with the now-defunct post-metal band Ashes & Iron. Violence? You know nothing of violence. Recorded "[...]in a live setting, in a really big room[...]," Fister's Violence EP is a thick slab of weighted-down, sludgey doom metal, paying homage to the minimally-bent masters of the past, but without skimping on the memorable riffs. The audio equivalent of being beaten with a sack of hammers, Violence is absolutely steeped in its namesake, even going as far as to jokingly tend to my extensive bruising with the occasional clean section, only to return to their original, malevolent form. Even at a scant twenty-five minutes in length, I can't imagine this album going on any further without getting a little destructive, myself. A force to be reckoned with, Violence is only here to make your life worse. Or better, depending entirely on your devotion to the altar of doom. In their infinite wisdom, Ohio-based giant Gogmagogical Records did the world a service by re-issuing this long sold-out EP on vinyl, but they didn't stop there. No, this EP needed to be done right or not be released at all, so Gogmagogical released this 10" on five different colors of vinyl, each color paired with its own, hand-screenprinted artwork. For the collector in all of us, Gogmagogical has all five available in one package for the low price of $50, and it even comes with its own tote bag! Excellent. Keep an eye on this label, they do good things. 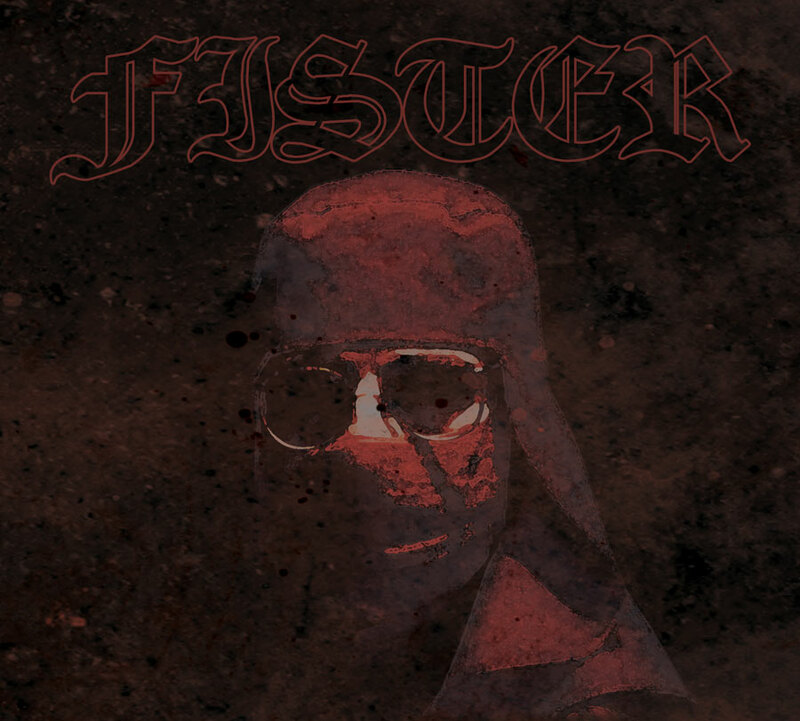 After two demo compilations and yet another ridiculously-packaged EP (The Infernal Paramount), Fister returns just over a year after Violence with their second full-length recording, the massive Gemini. Where Violence was, well, violent, Gemini exists in a similar sort of emotive field to that of sludge gods Grief; a sphere of hate-filled self-loathing. A much more "blackened" affair as far as harmonic and atmospheric approach, Gemini shows Fister embracing a much more expansive sort of sound, drawing on Snarzyk and Newstead's previous post-metal and black metal projects as a means of making Fister, well, bigger. While still riffy as ever, Gemini has a sort of melodic clarity which was only hinted at on previous releases, with the trio engaging in massive climaxes which as as miserable and, dare I say, beautiful as they are bottomed out and apocalyptically heavy. 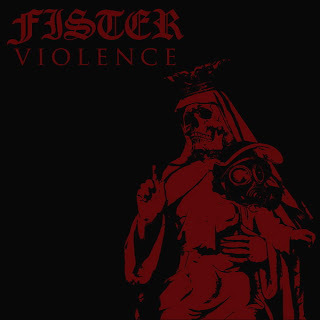 Most doom bands find it very difficult to find a sort of balance between the hatefully heavy and epic/majestic, and yet Fister finds the "happy" medium between Grief and Bethlehem after which so many bands lust. Gemini manifests itself as a primal roar into the void - knuckles pounding into concrete at full force with no regard for one's well-being, and yet there is much more that goes on beneath the surface. Scattered among the low-and-slow heaviness resides a sort of "artfulness," with the band fearlessly incorporating a wider variety of instruments into the fold as a means of textural variety and sudden dynamic shifts. Among other instruments, we see the inclusion of the piano, and, as odd as it sounds, the deep brass valves of the tuba making an appearance, lending its low hum to rattle alongside the equally as deep guitar and bass. The album's titular track is a prime example of this instrumental expansion, trudging along like a metallic Kindertotenlieder (no, not the Sunn O)))-related project). This is heady, abject misery at its finest. Fister have broken the ceiling and are graciously letting every piece of grit and concrete crush everything beneath them. That feeling when you know you are of absolutely no worth to society and that your existence, alive or dead, is of no consequence has a sound, and that is Fister's Gemini. There aren't many hills out by me, but I wonder now if it was Fister's doing, flattening the very Earth beneath them. Even I, gasping for breath beneath the sheer mass of this album, find myself emulating Giles Corey and demanding "more weight."